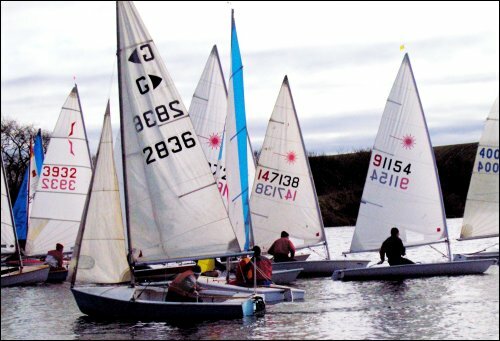 When sufficient demand exists Kinghorn Sailing Club puts on a winter sailing series. Sailing time is every Sunday between 1pm and 3pm from January until 30th March. 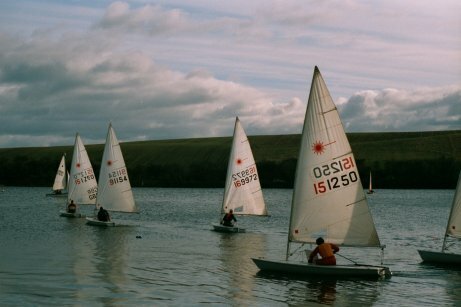 Boats jostling for position during a start on Kinghorn Loch.